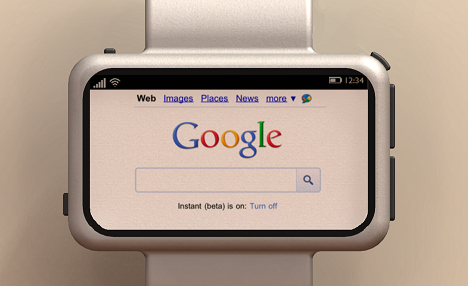 The Pebble sure wasn't the first smart watch, but it's been getting a lot of attention lately. In fact, wearable computing as an industry is seeing a bit of a resurgence in general. The trouble, at least as one company sees it, is that smart watches require you to already have an expensive phone. That's two batteries you have to keep charged! Craziness! That's where the Neptune Pine comes in. The idea here is that your watch can have a micro-SIM of its own. It will connect to a data network and even make phone calls. Oh, and it runs Android. More accurately, it runs "Leaf OS," a highly-modified version of Android designed to run on the tiny screen. Which is certainly something the device desperately needs because that screen is tiny. Speaking of, let's talk a bit about the hardware: the main module of the device has a 2.5" display (for reference, that's 1" smaller than the screen on the iPhone). It also includes a 5MP camera on the top, Wi-Fi, Bluetooth, GPS and the aforementioned GSM connectivity (3G-only, I'm afraid). Here's where things get wonky, though. Did you happen to do a double-take when I mentioned it has a 2.5" display? I did. Sure, that's not big by phone standards, but it's pretty dang huge by watch standards. Again, for reference, the 6th-gen iPod Nano was 1.5". 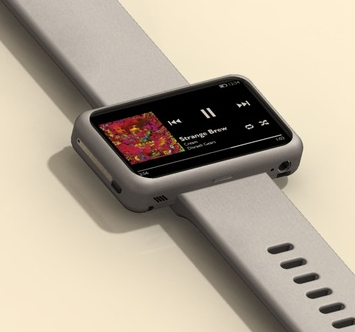 Heck, the current iPod Nano has a 2.5" display and that revision more or less killed its potential as the pseudo-smartwatch that people tried to make the last model. Okay, you're really starting to lose me. 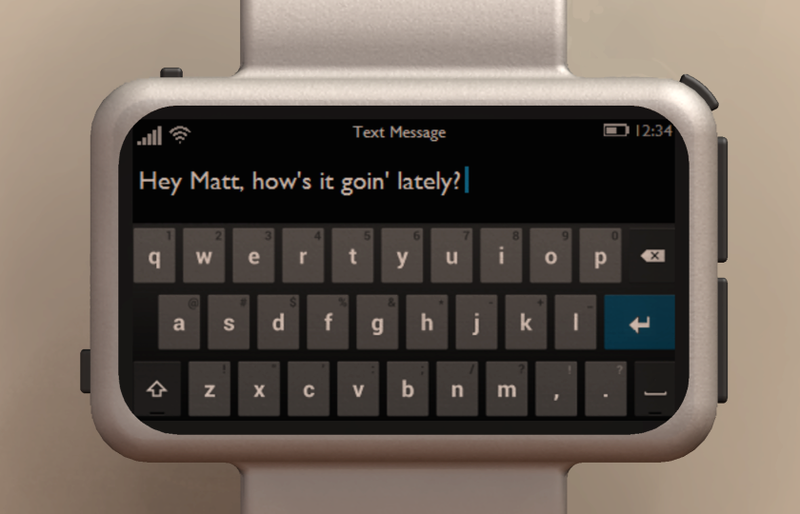 To be perfectly honest, the idea of a self-contained smart watch sounds really cool. 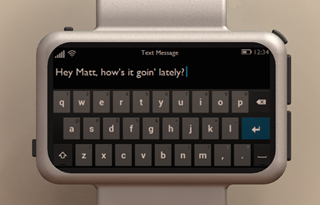 I like the thought of having a device that can run very simple apps or keep me updated on my correspondence at a glance. It's great. Given that we keep sticking 3G and 4G connections in everything, a unit that connects to data networks even seems like it might be interesting. 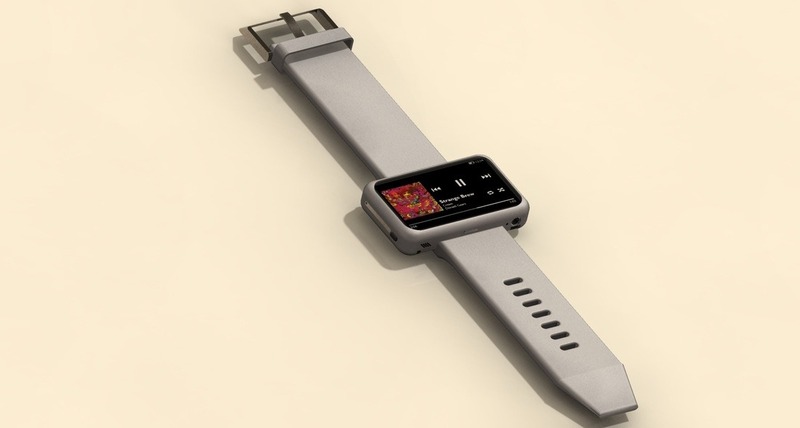 However, 2.5" just seems like it would be way too big to wear on your wrist. Typing on it sounds even more frustrating. I never even liked using the on-screen keyboard for my G1's 3.2" display. 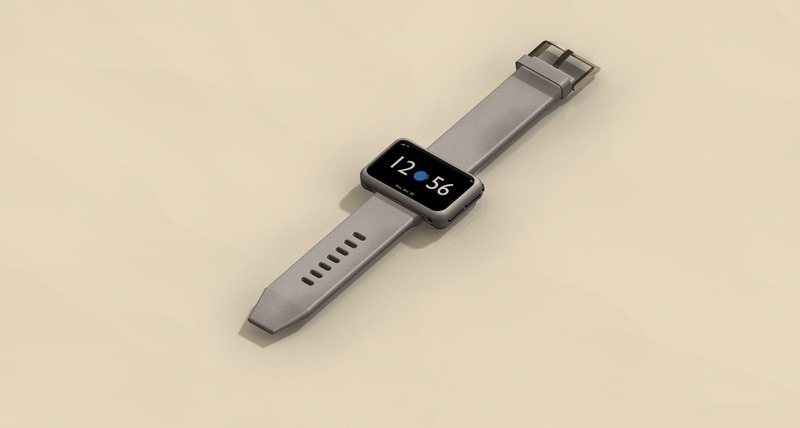 To the watch's credit, you can press a button to pop the main unit out of the wrist band in order to type with two hands, but that sounds entirely too cumbersome. The utility of a smart watch is its ability to stay out of the way and perform minor tasks. Not to be the centerpiece of your digital life. Of course, we're hesitant to pass judgment on the hardware before it's even out. We only see a few screenshots and, while Googling things on this screen sounds awful, it's possible that the rest of the features might make up for it. So, we'll wait and see. With a $335 (CAD) price tag for the 8GB model (up to $395 for the 32GB), it doesn't look too promising, though. If you'd really like to get a piece of this action, though, you can reserve one here. Estimated delivery is Q3 2013. Grab a snack.